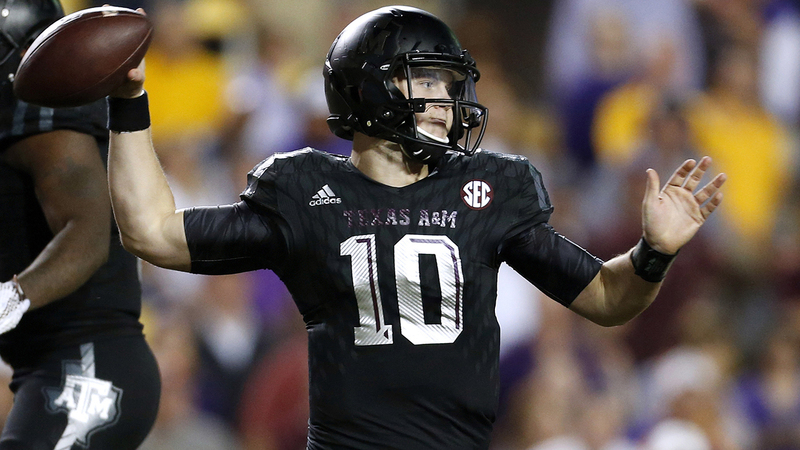 HOUSTON (KTRK) -- Former Texas A&M quarterback Kyle Allen is headed to Houston. Cougars coach Tom Herman announced the transfer on Tuesday. Allen spent two seasons with the Aggies, who have also seen quarterback Kyler Murray transfer and offensive coordinator Jake Spavital depart in recent weeks. Allen will sit out next year under NCAA transfer rules but will have two seasons of eligibility remaining. Allen started the first seven games this season before struggling with interceptions. Murray started the next three games, but Allen got his job back for the final two games. Allen, who is from Scottsdale, Arizona, is 6 foot, 3 inches tall and weigh 210 points. This past season, he was 160 of 283 for 2,210 yards with 17 TDs and 7 interceptions, which amounts to a quarterback rating of 137. With both quarterbacks gone, Jake Hubenak started as the Aggies lost the Music City Bowl 27-21 to Louisville. The 14th-ranked Cougars went 13-1 and capped their season with a win over Florida State in the Peach Bowl. We're following this breaking sports story and will post any new details as we get them.